Working together to ensure the delivery of high quality, safe care and an excellent patient experience. I am from Pakistan. I had wonderful memories of this great hospital. My daughter Sara Riaz had an ASD closure surgery back in 2011. Thank you very much for great hospitality during my difficult time. I hereby acknowledge the following along with my husband Shri Sarvajit Chakravarti. 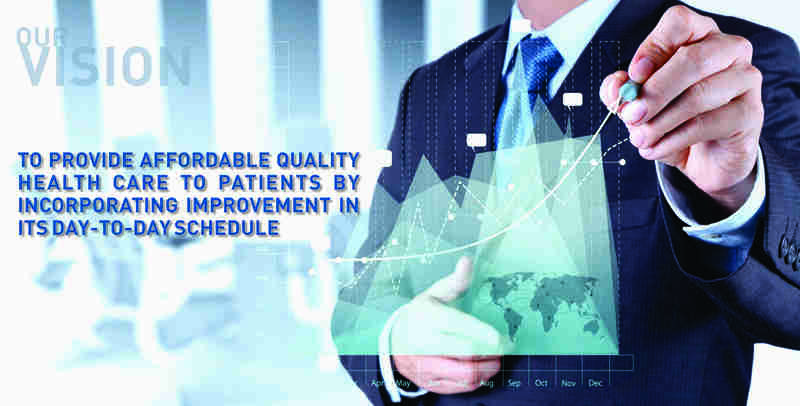 -Exceptional expertise, dexterity, efficiency, turnover of results and follow up of required medical intervention. 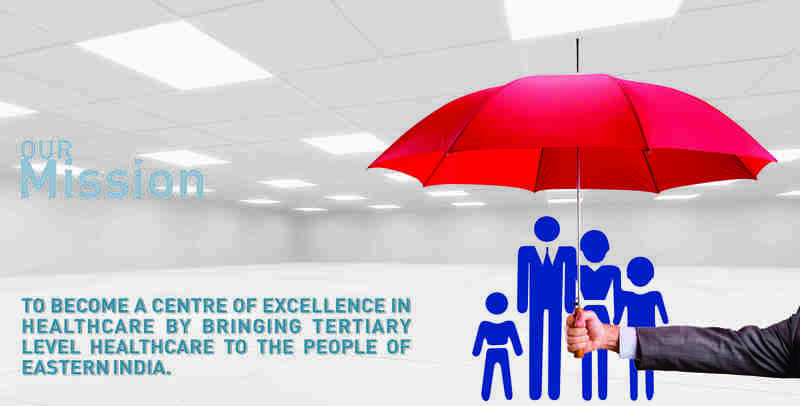 -State of the art facilitates equipment, knowledge and the dispensation of the same. - Most significantly, the attention to detail with regards to personal care, bedside manner, reassurance and consistent optimism. 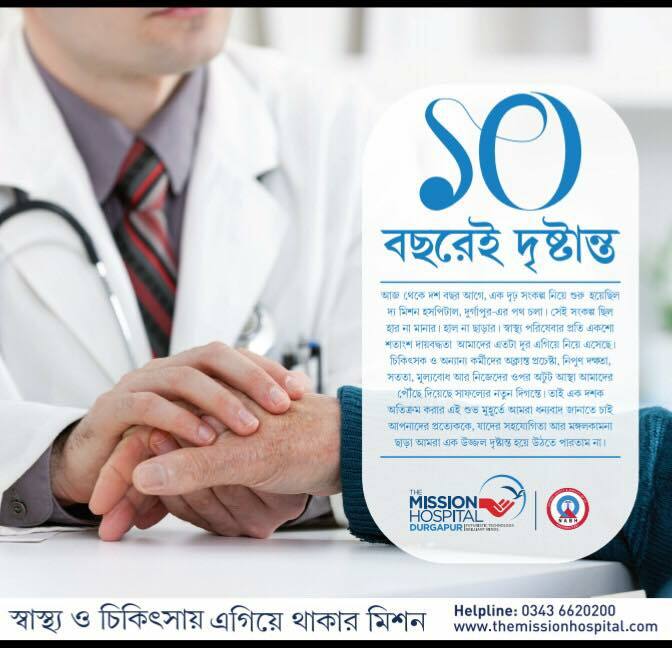 - It is with heartfelt gratitude that we hereby acknowledge the Mission hospital, my brother Dr. Satyajit Bose and his outstanding facility. Thank you. I appreciate the professionalism with which patients are taken care of in TMH. All the staffs are very courteous and polite. 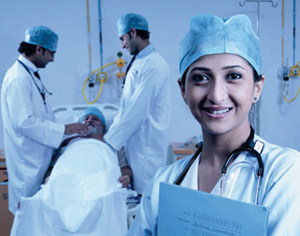 They pay personal attention to all patients making them feel comfortable and home like atmosphere is provided. Personally I want to thank Dr. Satyajit Bose Sir, for being an agent of god on earth for operating and curing my mother wonderfully. GM Mam Ms. Suparna Dasgupta has taken utmost care of my mother. I wholeheartedly thank her and her team. I wish team TMH all the best. Thank you team TMH. It was very nice experience. Your service and hospitality is very good. Thanks for your very good service. Very Professional and organized execution. Also the behavior is very cordial. The maintenance is hygienic. Thanks for the hospitality. I came for my compulsory Annual Medical Check-up and the experience was very good. The behavior and professionalism is very well appreciated. I felt comfortable throughout. I got admitted on 09/03/2018 and got discharged on 20/03/2018. 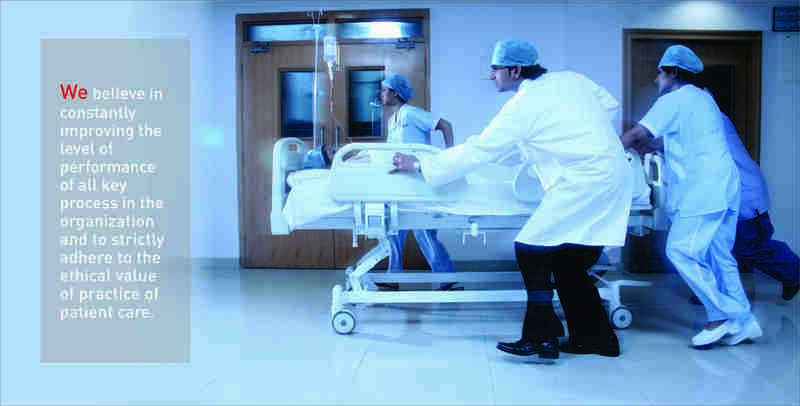 The treatment of this hospital is very appreciable as well as hospitality is very good. 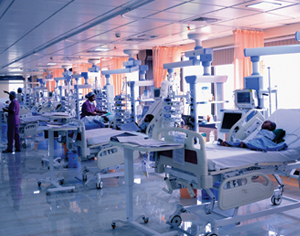 All the staffs of this hospital are very sincere besides service provides to me was very good. Thanks to everyone. I got admitted in Misson Hospital in April'12 after setting myself on fire,accidentally,while lighting a lamp in my own residence.Dr.Krishnendu Goswami observed very closely and regular dressings were done.Split skin grafting were done under general anesthesia.After two months of regular follow-up & treatment,I was discharged from the hospital.Now,I am leading a completely normal life.Thanks to Misson Hospital and my earnest gratitude to Dr.Krishnendu Goswami..God Bless..
My father had open heart surgery in this hospital and I must say this is the best hospital in eastern India particularly for the people from Bengal and Jharkhand. All the Doctors and staff are very good, the hospital is very neat and clean. I must thank the founders of this hospital and for their great vision to establish such a kind of multispeciality hospital in this region. Visited Mission Hospital on 21 Jan 2018. Wonderful place excellent services and courteous staff. Best wishes. Was skeptical to visit Barddhaman, our native, with my wife Sutapa, who is in Dialysis since 2013. But the vigilant care felt at the dialysis unit of this hospital, observed during the sessions spent there on Dec 29, 2017 and the New Year's Day, 2018, have instilled confidence enough to smile for longer stay. Our praises shower on the dedicated team headed by Dr. Deepak Kumar, the nephrologist, array of technicians and nursing staff. However, seeking better quality of food provided to the patient, with hygienic cling sheet cover in clean tray and periodic floor cleanliness monitors. I am still indebted to the mission hospital for their service. Now it has been one year since the surgery had been done. My beloved so is doing well. I felt as if god has come on in right time. Thank you the staffs of the hospital. Keep the spirit......service to man is service to god. A wish and thanks giving from a foreign country bhutan. First VATS lung resection in the eastern india done by Dr Debasish Chatterjee with uneventful recovery and discharged within 2 days of postop - Thanks to Dr Debasish Chatterjee and Dept. of Chest medicine. OUR 6 DAYS BABY HAS GOTTEN HIS NEW LIFE IN THIS HOSPITAL, AFTER HIS ARTERY SWITCHING OPERATION OF HEART. IN THIS REGARD I WOULD LIKE TO THANKS DR. SRIRUP CHATTERJEE HE IS LIKE AS GOD TO US, ALSO WOULD LIKE TO THANKS DR. NURUL ISLAM FOR HIS SPECIAL CARE AND ALLROUND HELP. THANKS TO DR. HEMANT KUMAR, DR. HIRALAL. MHD. ALI, AND A WARM THANKS TO SISTER ANKANA (SISTER INCHARGE ITU) HER AFFECTIONATE CARE JUST UNFOGETTABLE. AFTERALL MISSION HOSPITAL DURGAPUR HAS A GOOD SETUP OF DOCTORS, STAFFS,AND OTHERS. FROM- BABY OF URMILA BISWAS (COOCHBEHAR). My mother got serious heart attack and admitted in this hospital in the midnight of 7th january, 2016. Dr Nadeem Afroj Muslim, cardiologist took imediate action, did angiogram with temp pace maker support. Found 100% and 95% blockage. Angioplasty done without delay and kept in observation with life support. After 10 days of struggle my mother survive. It was possible only for Dr Afroj and his team. 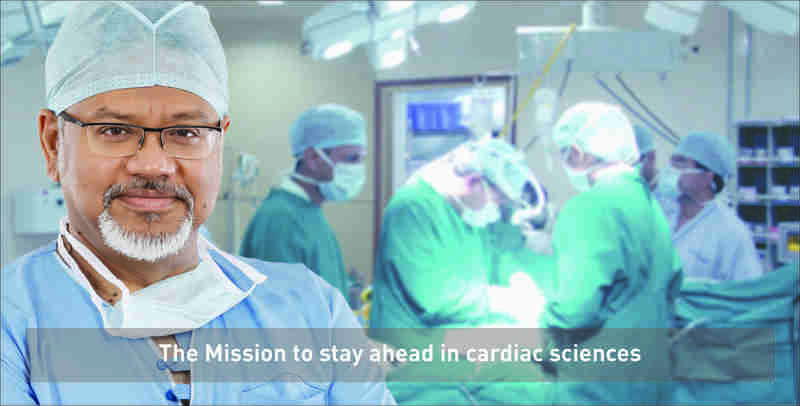 Dr. Nadeem Afroj is one of the best cardiologist in my eyes. He is, experienced, energetic, sympethetic and honest person. Thanks to him and the mission hospital. Apart from couple of issues can be hailed as the best service provider.Thankful to doctors, sisters,ward staff and also the management for a prompt and effective response.Keep it up.Great infrastructure and human touch.Very supportive billing department too. Awesome hospital .treat like family care.staff is very very good.god bless the mission hospital. best ENT department in the region. Great Hospital. Treat you like family. Staff very helpful and great support. Medical team's response was very good. I am happy with overall checkup. The whole team was excellent. Million thanks to all of them. Keep the Mission flag flying HIGH. The best infrastructure wrt the health care hospital in Eastern Part of India. May the Almighty bless the team of The Mission Hospital.